Has your precious kitten started developing some bad habits? Or is your patience for your adult cat’s mischievous behaviours running thin? We know you love your fluffy, pouncing friends, but you may sometimes find that their curiosity kills your composure (we would never use the original saying). Anti-Scratch Tape – Cats like weirdly sticky fingers just about as much as you do. Anti-scratch tape sticks directly onto your furniture, which can be quite effective at deterring scratching. But despite being see-through, the tape may still be noticeable. 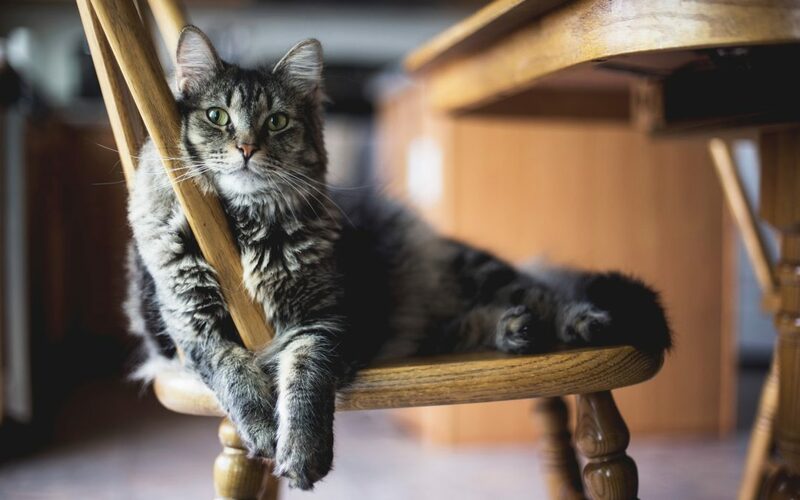 Cat Trees – If you have space for a cat-specific piece of furniture in your home, a cat tree is a great option. The fabric used encourages scratching, and many have little cubbies and toys to keep your cat busy. You can even try building your own. Cat Trees – Just like for scratching, cat trees are a great way to redirect your cat’s need to climb. The more levels to explore, the better. Increased Feedings – If your cat can’t help but get up close and personal with your food, perhaps they aren’t getting enough of their own. Consider looking up alternative feeding schedules. Keep the Box Clean – Your cat may choose to use the floor rather than their little box if the floor appears to be the cleaner option. Even if you’re already cleaning their box a couple times a week, your cat may be pickier than that. For the sake of your floor, consider following their preferred cleaning schedule. Line Plants with Tin Foil – Kittens who are not yet used to their litter box may be more drawn to natural bathroom options. Unfortunately for them, you prefer flowers to smell like flowers rather than ammonia. Placing a layer of tin foil on top of your soil should deter your cat from walking on the plant, as it’s a much less pleasant texture on their paws than dirt. If your cat sticks to their old behaviours for a while, don’t fret! Cats can be stubborn sometimes. Just be persistent and they’ll adjust accordingly. For information on how your cat might behave when travelling, contact us today!